The 2015/16 campaign may only have come to a conclusion on Saturday, but Whitby Town are already making preparations for next season. The Blues ensured that they would be playing their football in the Evo-Stik Premier Division once again next term, following a 19th-placed finish, despite an almost season-long battle against relegation. And having avoided the drop with two games to spare under the guidance of manager Chris Hardy, chairman Graham Manser says that the club are keen to lay the groundwork that will allow them to move forward in the future. “Obviously I am delighted with the fantastic job that our management team did in keeping us in the Evo-Stik Premier, and we are already looking to next season,” Manser told the Whitby Gazette. “The committee met with the manager on Tuesday to discuss our plans for next season and the future as we look to progress both on and off the pitch. “Along with Marine and Frickley, we are the longest-serving club in the division, we’ve never been relegated and have a proud history. “Tuesday’s meeting was very positive, not much has been set in stone as yet, but it was acknowledged by all concerned that we have an awful lot of work to do to get us where we need to be,” he added. “The squad needs an overhaul, there is no getting away from that, and the toughest part of the job is recruiting personnel who will improve on the group that you already have. “There are a lot of things that need looking at both on and off the pitch, but the biggest positive is that we are still in the Evo-Stik Premier, and not facing a different kind of a challenge in the division below. The Seasiders also finalised the dates for a number of pre-season friendlies this week, starting with Northern League outfit South Shields who will visit the Turnbull on July 16. 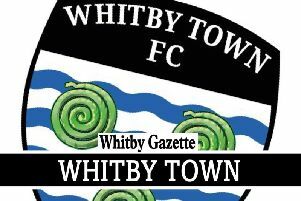 A Middlesbrough XI are coming to Whitby on July 20 and there will be a trip to Pickering on August 2. Fixtures against League Two Hartlepool, and fellow North East sides Darlington, Gateshead and Guisborough are also expected to be confirmed in the coming weeks.